Today is an important day for pandas, elephants, and other members of the plant and animal kingdoms. It’s Endangered Species Day. Since Congress created the annual holiday in 2006, Endangered Species Day has become a day for raising awareness about the need to protect all of Earth’s creatures from extinction. This year the effort to educate the public about the threat to endangered species is getting a boost from an important source: U.S. companies. Under the leadership of a non-profit called the U.S. Wildlife Trafficking Alliance, a group of companies has stepped forward to declare support for ending the global trade in illegal wildlife products. Brilliant Earth is proud to be one of the first companies to join the Alliance. Thousands of species go extinct each year. Habitat loss, pollution, and climate change are a big part of the problem. For some species, however, the threat is directly due to the humans that use them for exotic pets, trophies, medicine, religious rituals, food, and decoration. The ivory trade is one of the saddest examples. Poachers slaughter one wild elephant every 15 minutes, or about 30,000 elephants per year. Wild elephants could be extinct within 10 years unless practices change and demand for ivory drops. As the world’s second largest market for ivory, after China, the U.S. has a critical role to play in stopping the slaughter of wild elephants. The Obama administration has taken action by issuing regulations to ban U.S. ivory sales and by asking China to crack down on its ivory trade. The U.S. Wildlife Trafficking Alliance, which works in collaboration with the U.S. Department of the Interior, is building off these efforts by enlisting companies and other partners in the fight against wildlife trafficking. Companies joining the Alliance, including Brilliant Earth, have pledged not to sell illegal wildlife products, to share best practices, and to promote awareness among consumers. Brilliant Earth’s participation in the Alliance was announced last month at a forum hosted by National Geographic. We do not sell, and have never sold, any ivory or any other illegal wildlife product. Joining the coalition did not require us to change our sourcing practices. But as part of the Alliance, we are renewing our commitment to educating consumers about this issue, particularly about the presence of ivory in antique jewelry and other jewelry products. One reason we are pleased to join the Alliance is that we consider the goal of protecting endangered species to be closely aligned with our mission of promoting the responsible mining of precious gems and metals. Around the world, mining interests are polluting the air and water and destroying critical habitat. In South America, gold miners are tearing down the Amazon rainforest. In Alaska, a proposed gold mine could destroy the world’s best habitat for sockeye salmon. We are concerned about the irresponsible mining of diamonds, gold, and colored gems partly due to the effects on wildlife. As part of the Alliance, we are now helping protect wildlife in another way. Moreover, at Brilliant Earth, we are dedicated to breaking the link between jewelry and violence. The sale of ivory finances violent rebel and terrorist groups in Africa, much like diamonds and gold have a history of funding civil wars. In the Central African Republic, both diamonds and ivory are funding a tragic civil conflict. By joining the Alliance and standing against the ivory trade, we are helping cut off a source of funding for violence in the Central African Republic and elsewhere. Finally, we believe that the Alliance has a strategy that could work. Its approach reflects one of our core beliefs: that retailers and consumers can make a difference if they join together to promote responsible supply chains. 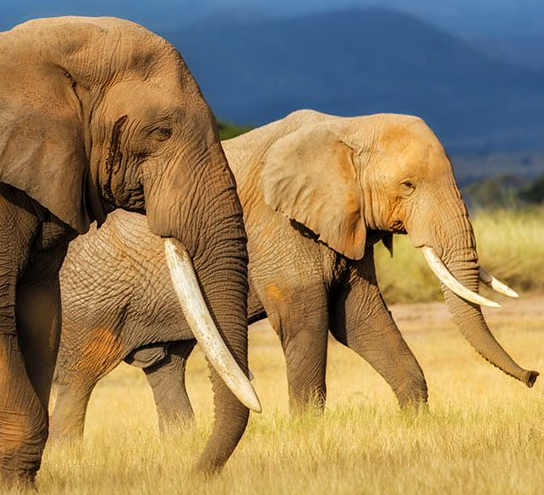 As we mark Endangered Species Day, we are excited to be part of a coalition that is reducing demand for illegal wildlife products and helping to save elephants and other species from extinction. Thank you for your considerations. Those that will certainly cause a change in the right direction. Our practices that have a direct impact on our environment. As well as protecting our wildlife by chosing such practices. Peace and love be with us all!!! You can learn more about the U.S. Wildlife Trafficking Alliance here: http://uswta.org/. You can learn more about Brilliant Earth’s movement here: http://www.brilliantearth.com/our-movement/.